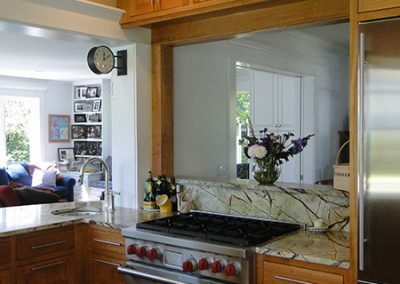 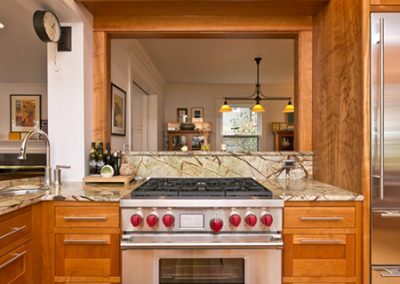 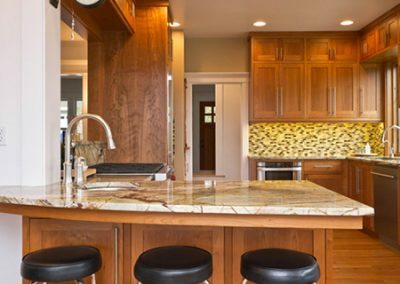 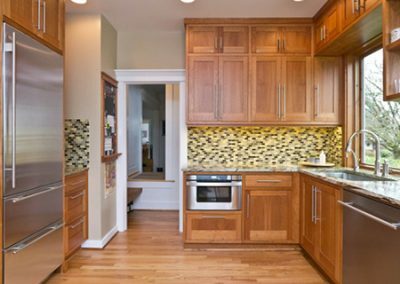 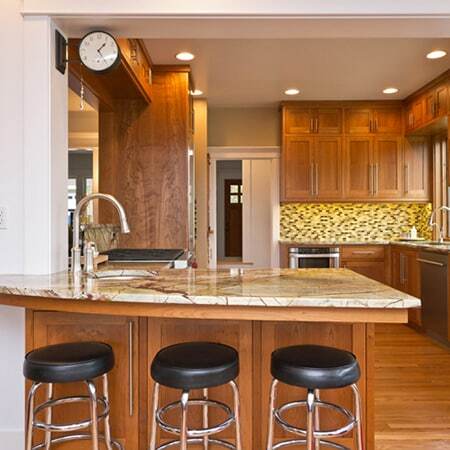 In SW Portland, we set out to create a spacious, bright and updated kitchen without compromising the look and feel of this historic home built in 1908. 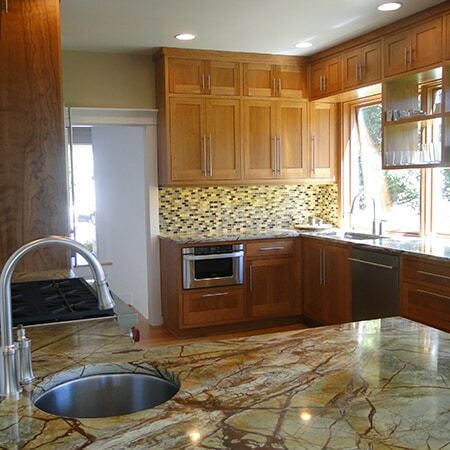 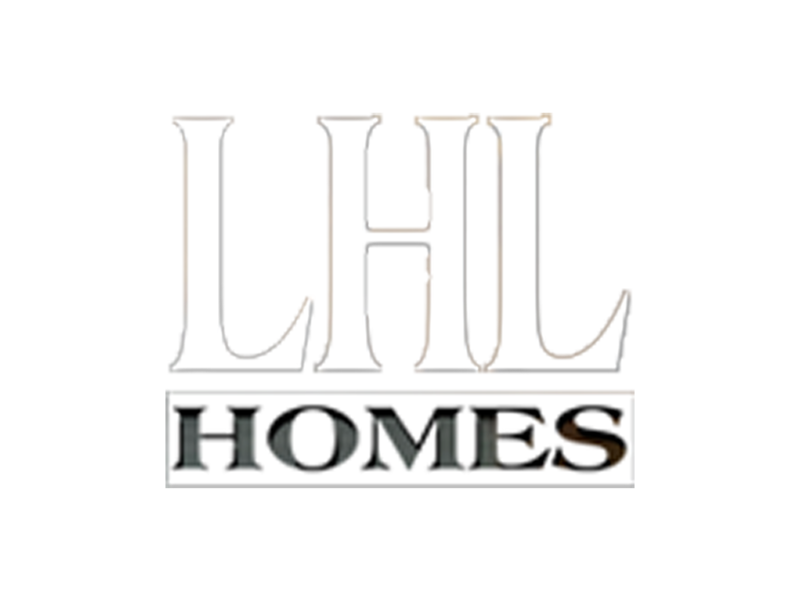 Coming on the tails of an earlier LHL remodel and addition, the kitchen was the last piece to the puzzle. 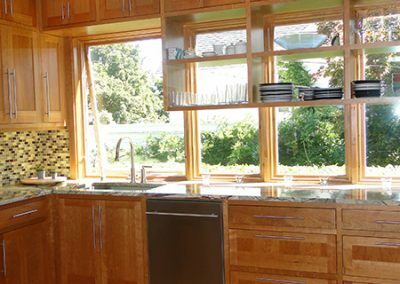 Designing from the shared expertise of LHL and our client, the entire sink wall of the kitchen became windows, a simply amazing light transformation. 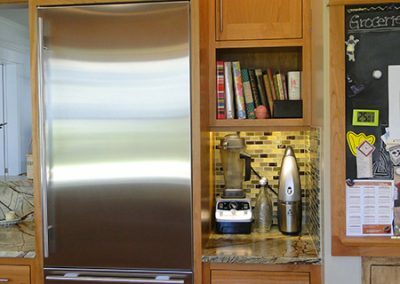 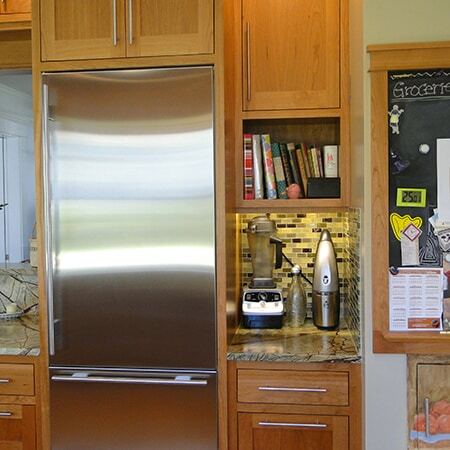 To retain upper cabinet space, see through upper cabinets were designed to maximize natural light. 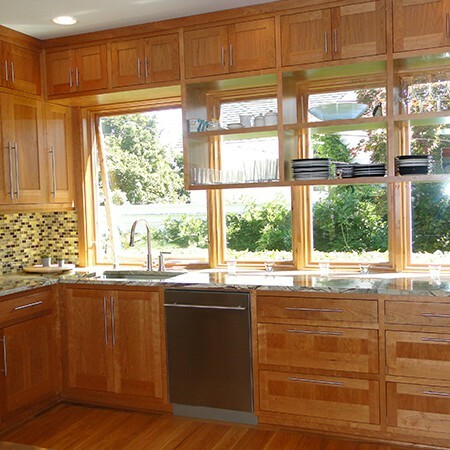 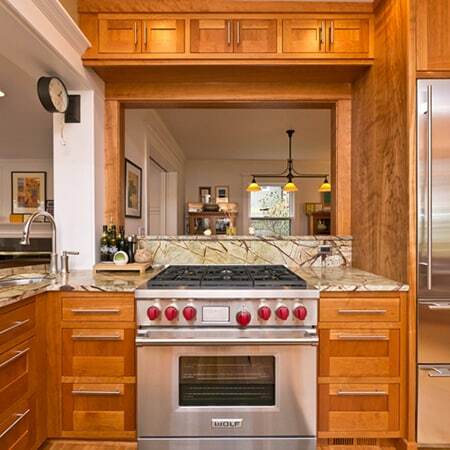 Beautiful floor to ceiling cherry cabinets with inset, shaker style doors were designed to blend with the era of the home. 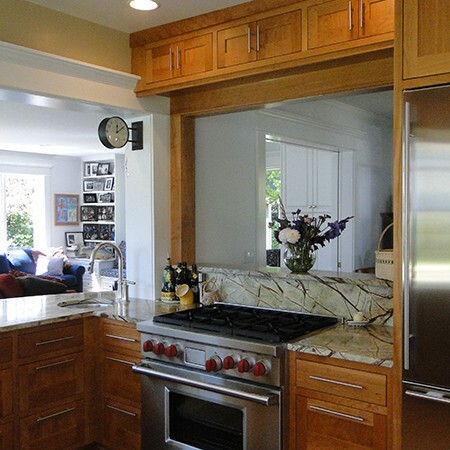 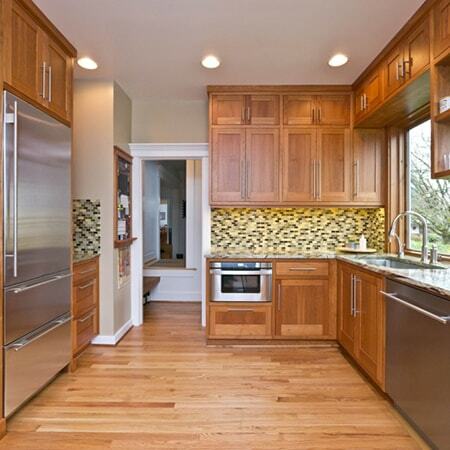 New appliances and appliance locations add to the beauty and functionality of the kitchen. 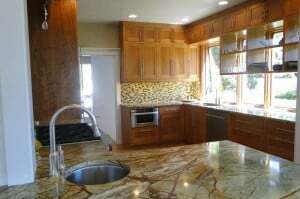 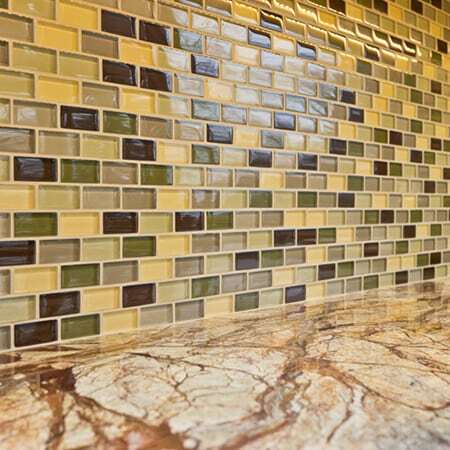 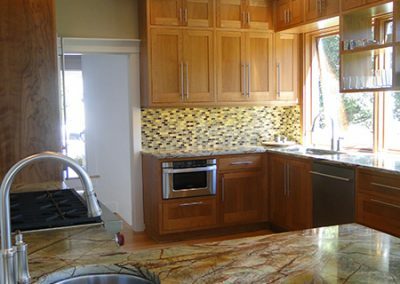 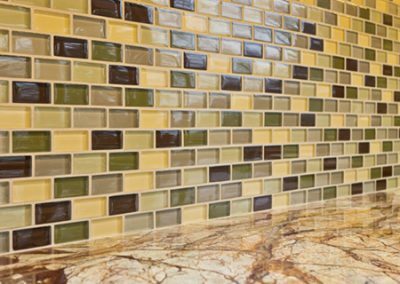 Finally, rich, intricately veined Rain Forest Green marble counters add the perfect finish to this stunning transformation!